Getting to St. Barth or Saint Barthélemy can range from a mild hassle to fabulous depending, frankly, on your means. Saint Barthélemy is not served by jets, but the island does have a small airport that supports scheduled prop flights from other Caribbean islands and, of course, private planes. This certainly serves to keep the island free from mass tourism and adds to a sense of exclusivity. In addition to the small airport, there is a ferry that runs from St. Martin several times per day and, of course, there is the option of taking your private yacht into the harbor. Again, it’s a question of means. 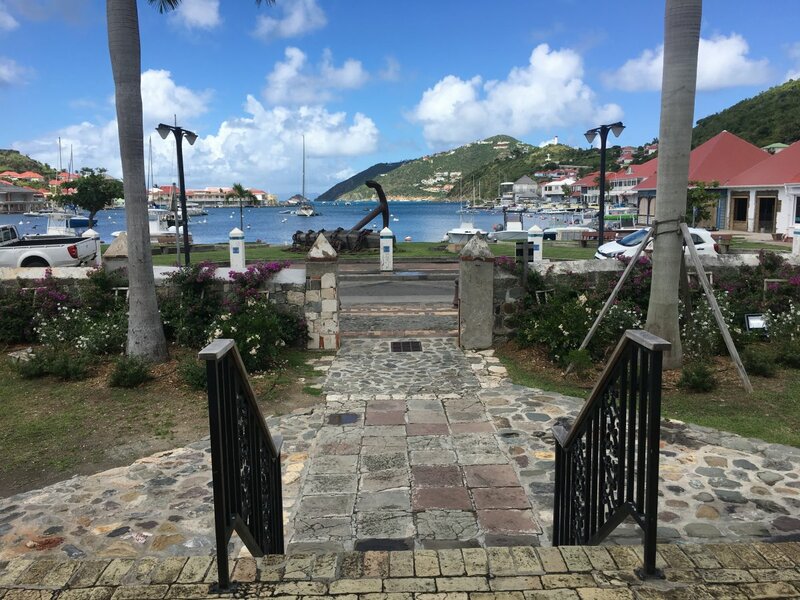 When traveling to St. Barths or other Caribbean islands, even by ferry, expect to be treated as if you are arriving in an international port. St. Barths is a territory of France and as such, you are essentially entering France when you go to St. Barths. You will be asked for your passport so please be ready to bring your passport with you in order to get on the ferry or other mode of transport. 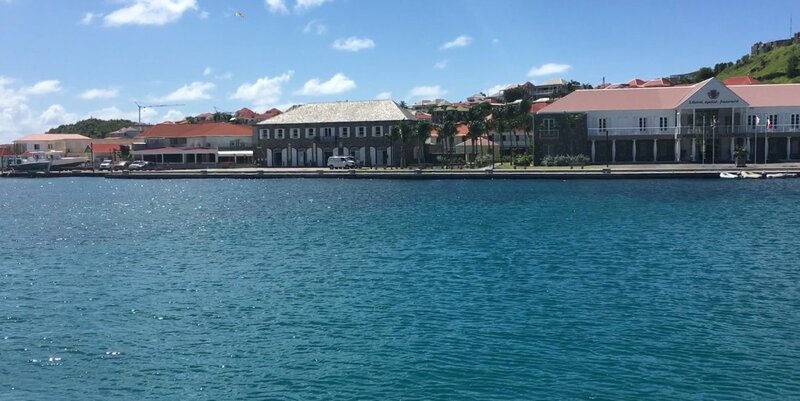 On a recent tour of Exotic Estates’ villas in the Caribbean, the team took the ferry from St. Martin to St. Barths. 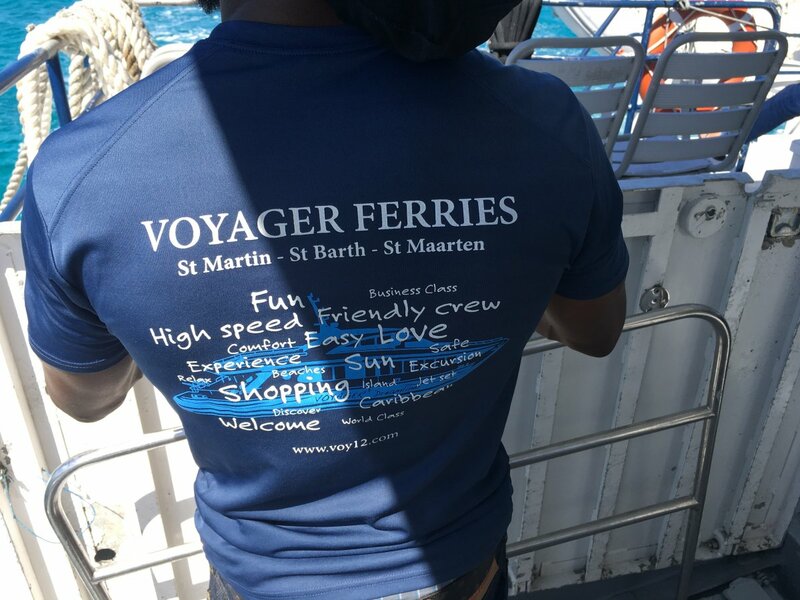 Getting to St. Barts from St. Martin is easy via the Voyager Ferries, which operates a high-speed ferry with varying travel times ranging from 30 minutes to a little over a one hour, depending on whether you leave from the French side port (Marigot) or the east side of the island. The ferry from Marigot is the longer ride and the one we took. The seas are rough most days (with the winds coming from the North Atlantic), so those who suffer from sea-sickness may want to consider taking a flight instead. It’s a relatively short hop from either St. Martin or Puerto Rico. Two people were violently ill on our ride. We enjoyed the comforts of business class on the ferry, and we can recommend the service without question. 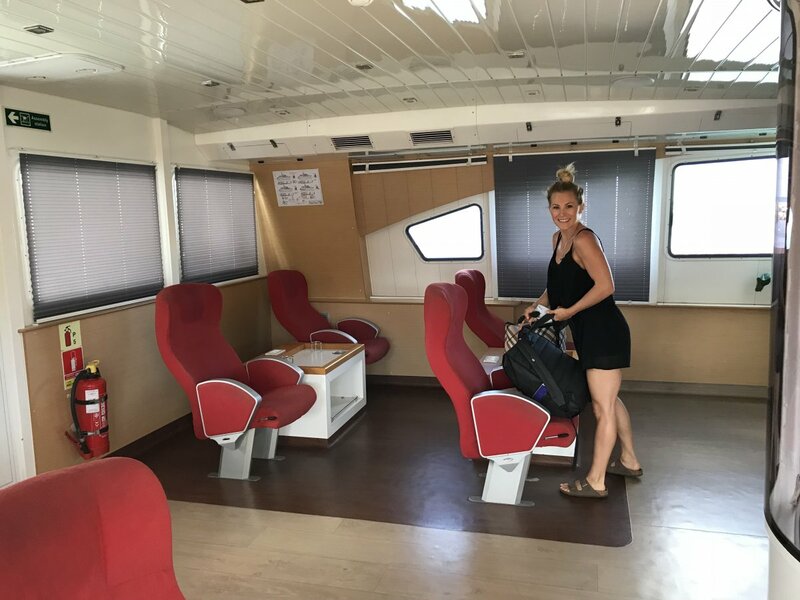 Business class on the ferry was positioned in a small, clean and air-conditioned indoor cabin on the upper level of the boat, close to the captain’s bridge. There were outlets, but you will need a European adaptor (note that can be a hassle on the island). Our ferry was supposed to depart at 12:30 from Oyster Pond on the east side of the island, but we were notified a couple days prior that they were not longer able to accommodate the departure time. We chose a new departure time of 9:30 a.m. from Marigot. This worked out in our favor as we arrived on St. Barths earlier and enjoyed a full day. There is no nonstop service between the US Mainland and St. Barths. There is, however, regional service via WinAir and St. Barth Commuter airlines, as well as helicopter service from St. Martin. Essentially, you will need to fly to either Puerto Rico or St. Martin; note that there is additional service from Antigua. For US travelers, the easiest place to connect will be in Puerto Rico or St. Martin due to the availability of scheduled air service to both destinations from several US cities. 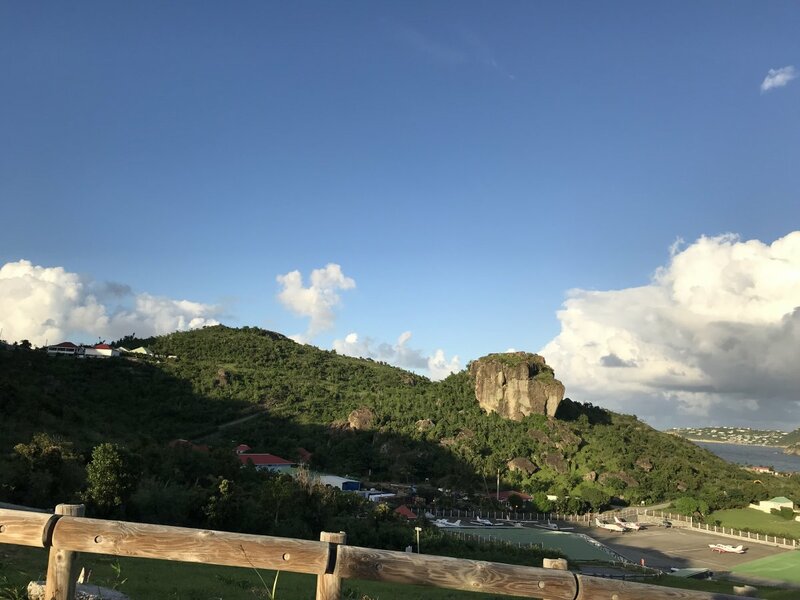 A Note of Regional Flying: While we did not WinAir to St. Barth, we did use regional operator Liat for a hop from St. Martin to Nevis and found them to be quite professional and comfortable, operating a larger ATR prop jet on the short route. Perhaps no other way is more “St. Barths” than pulling your own yacht or sailboat into St. Barth's pristine harbor at Gustavia. Let’s just say, visitors here like to make an entrance, with impossibility big boats sitting out in the harbor like floating mansions. If you can name a massive celebrity, royal or bonvivant, chances are they've made an entrance here. We were in St. Barths just before the season, which begins roughly around Thanksgiving and runs through early spring. While we were there, one of the massive private yachts pulled into the harbor and locals all considered it a bit of a novelty because it was “early,” not because it was the size of a large house. If anyone in your group gets seasick, avoid the ferry service and fly into the airport via plane or helicopter. 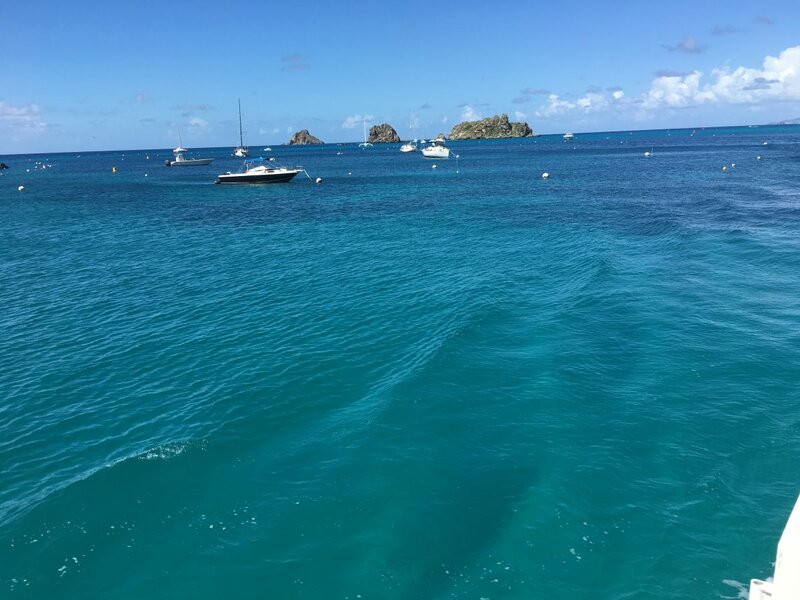 If rocking boats are okay with you, the ferry service is convenient and allows you to enjoy a day getting acclimated to the Caribbean vibe in always fun, always friendly, St. Martin. Figure on a couple hours transfer time at least to get yourself from St. Martin (SXM) to the ferry terminal. If you want to arrive in style – bring your own yacht and slip in next to the rest of the gilded set. Regardless of how you get there, St. Barth is unique in that while it is decidedly upscale, it also has a relaxed vibe. It does not attempt to put on airs, it’s simply a beautiful little island that has found its place with the rich and famous. To give it a context, St. Barth is a like a little piece of the South of France or Monaco in the Caribbean. Its town is delightfully French, with cute shops, bistros and bars catering to all types, the kind of place where visiting billionaires and local sun-kissed beach bums share bar space. Sign us up! Now all you need is a place to stay, thankfully Exotic Estates can help with a wide range of private St. Barth Villas!